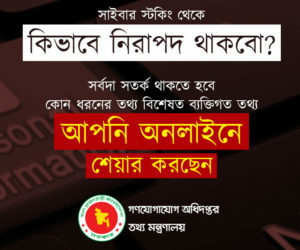 Bangladesh Association of Software and Information Services (BASIS), Grameenphone Ltd. and Microsoft Bangladesh were awarded with “eGeneration Startup Ecosystem Awards” for their contribution in the development of local startup ecosystem on Saturday at RTV Bengal Multimedia Studio in the capital. 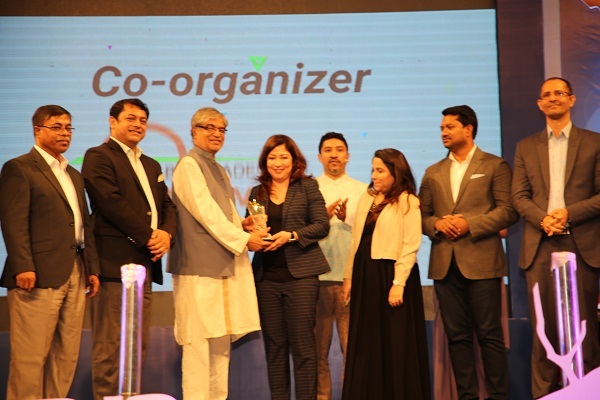 The award was introduced for the first time this year by eGeneration Ltd. with an objective to recognize organizations who have demonstrated the ability and willingness to help support and grow the Bangladeshi startup ecosystem. The companies were acknowledged during the Bangladesh finale of Startup World Cup 2019. One of the leading technologies and tech investment group in Bangladesh, eGeneration works on cutting-edge technologies like blockchain, data analytics, Internet of Things (IoT), Artificial Intelligence and Natural Language Processing. Chief Guest of the event, Mustafa Jabbar, honorable Minister, Ministry of Posts, Telecommunications and Information Technology handed out the crests to Syed Almas Kabir, President, BASIS; Sonia Bashir Kabir, Managing Director, Microsoft Bangladesh, Myanmar, Nepal, Bhutan and Laos and Kazi Mahboob Hasan, Chief Strategy and Transformation Officer, Grameenphone Ltd.